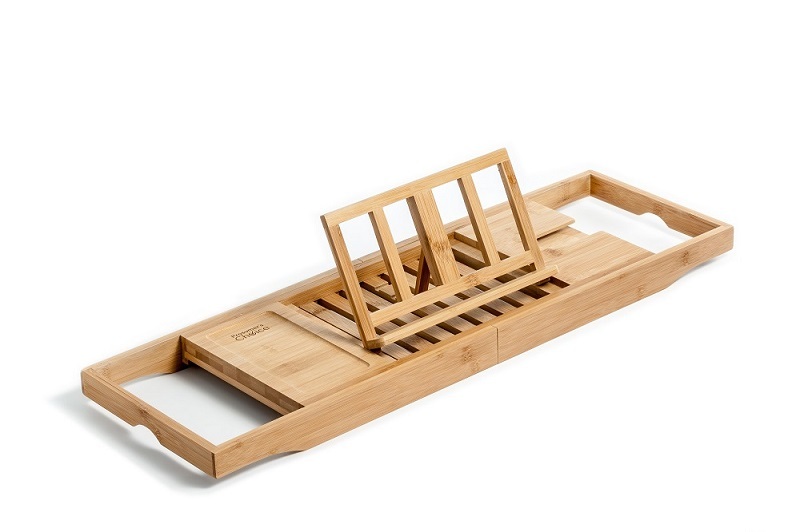 Transform your ordinary bathtub into a spa-like experience with Prosumer's Choice Adjustable Eco-friendly Bamboo Bathtub Tray. 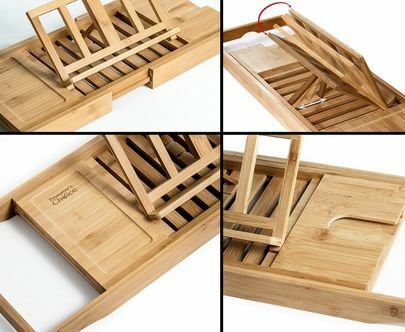 Made of FSC® Forest Stewardship Council) Certified 100% Natural Bamboo and manufactured in a facility certified as socially responsible by the Business Social Compliance Initiative (BSCI), this elegant, sturdy and eco-friendly bath caddy expands up to 41 inches to fit over most bathtubs and Jacuzzi tubs. 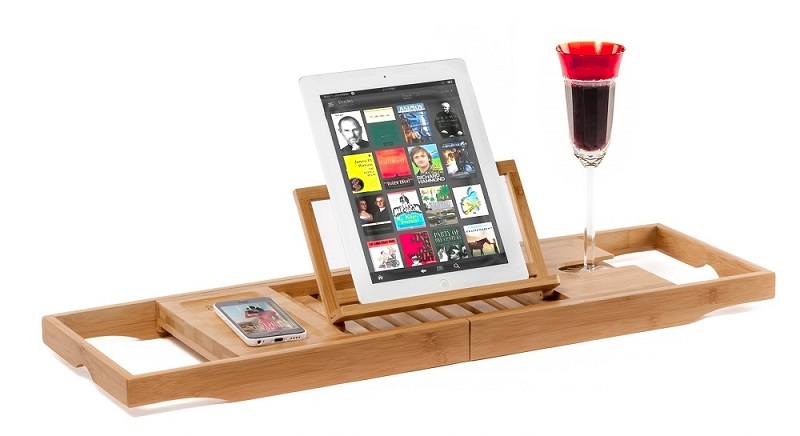 The all-natural bamboo wood is resistant to moisture and steam and includes creature-comfort features such as an indented wine glass holder that keeps the glass securely in place, as well as indented area for your iPhone or smartphone so you won't need to crawl out of a nice warm bath when you hear that ping. 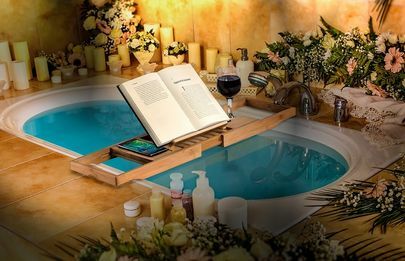 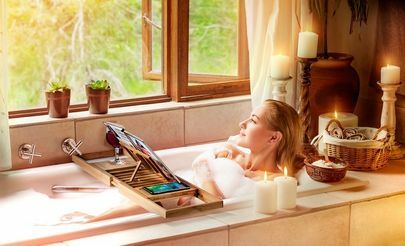 The adjustable book or tablet holder lets you read at the perfect viewing angle, and unlike other bathtub caddies, is also made of bamboo, not metal, so it will not rust. Easy to install with no complicated assembly required, simply slide the sides outward to fit your particular tub and break out the bath crystals or bubbles. With Prosumer's Choice's bath caddy, you may never want to leave the tub!